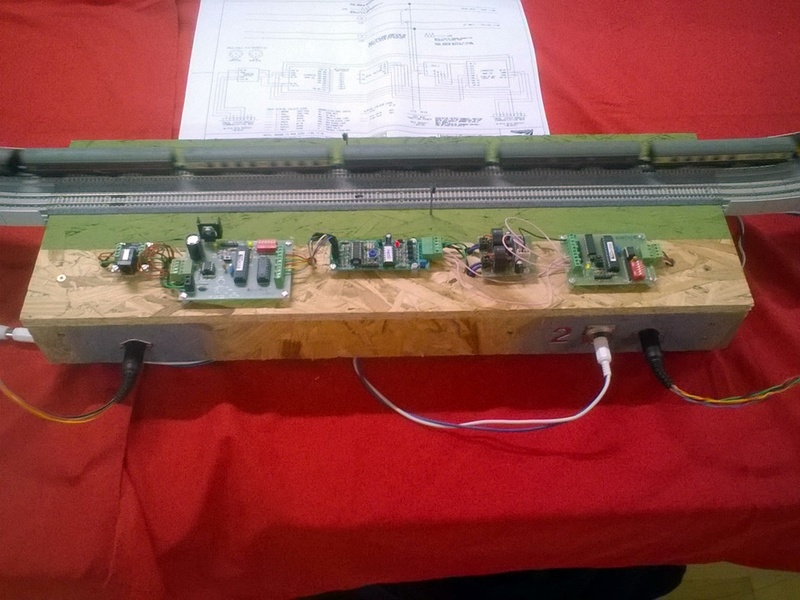 Description: We have three signal modules we use to separate our normal modules into block sections, which allows us to build our layout as a dog-bone configuration with the trains following each other. The train drivers have to concentrate on the signal ahead; the signal aspects are green for "Go", yellow for "caution - the next signal is red, slow down" and red for "danger - stop" (UK 3-aspect sequence). 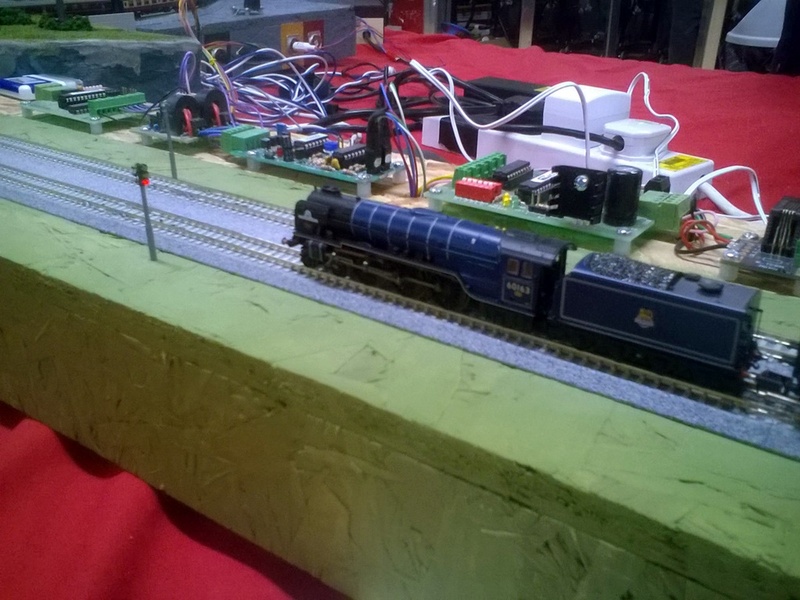 The signals operate automatically using MERG CBUS modules (CANACC8 and CANACE8C) controlled by JMRI running on a Raspberry Pi computer. 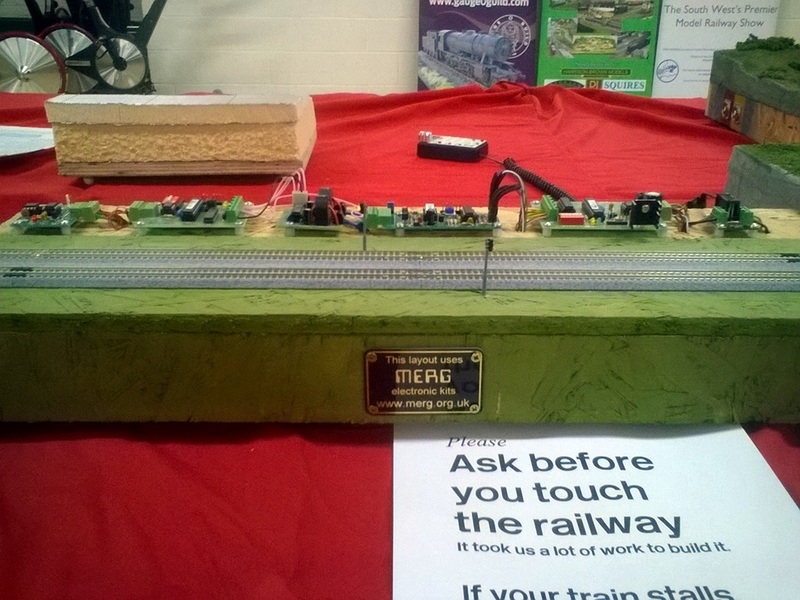 The trains are detected by current-sensing circuits and infra-red detectors, also built from MERG kits (DTC-2 and Dual Hector). Each module also has a CANCAB socket so operators can roam around the layout. The circuit boards are displayed prominently on top of the modules. The three signal modules are identical except module 3 has a MERG "CANACT" CBUS activity indicator circuit board to help diagnose problems and to flash a blue LED at passers-by. The modules have incoming cables from our CBUS, which daisy-chains the modules together and back to the computer interface, and the DCC bus wires from the command station. The DCC is then fed to the track through the train detection circuit boards.